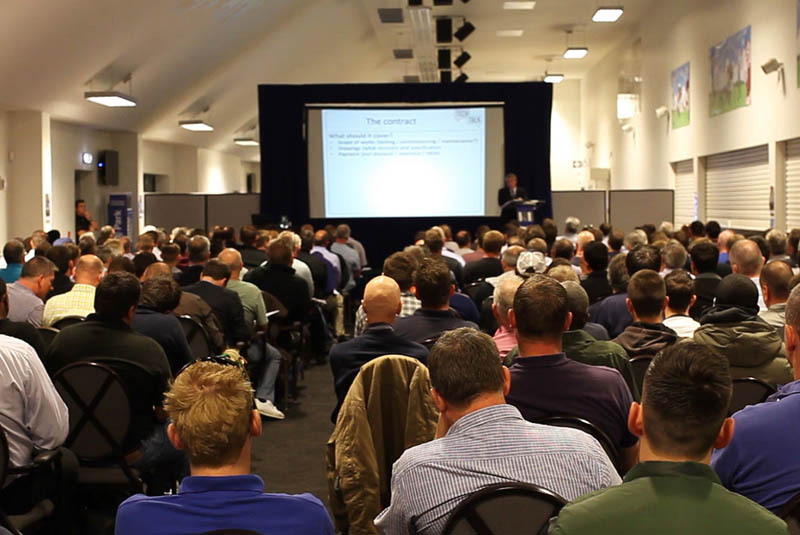 NICEIC and ELECSA’s latest TechTalk series has reportedly attracted record crowds as contractors prepare for the upcoming introduction of the 18th Edition. More than 3,000 contractors have now booked to attend one of the 23 regional shows. The NICEIC and ELECSA team are gearing up for the second part of the series, which will see them visit nine more locations. In addition to the 18th Edition, Darren and the team will take a look at other aspects of the electrical industry and how that could affect the way contractors work in the future. This will include talks on EICRs in rented properties, electric vehicle charging points and things to consider when designing heating installations. Tickets cost £25 and can be booked online at www.shop.niceic.com/events or by calling 0333 015 6626. For further information about the TechTalk series, email events@certsure.com. Each event starts at 9am and finishes at 1.30pm. Every delegate will recieve a breakfast roll and refreshments as part of the package.